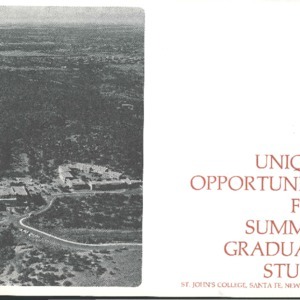 GI college catalog for summer 1970. 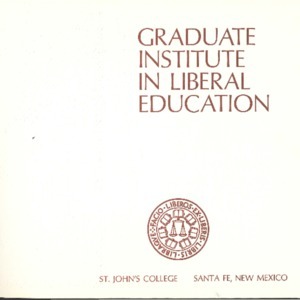 GI college catalog for summer 1969. 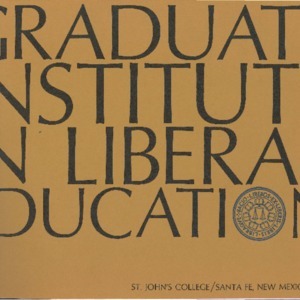 GI college catalog for summer 1968. 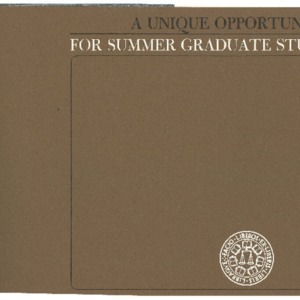 GI college catalog for summer 1967. 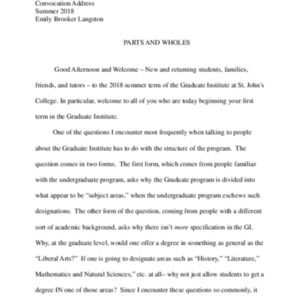 Typescript of the convocation address for the Graduate Institute given by Emily Langston on June 11, 2018 for the Summer 2018 semester in Annapolis, MD. 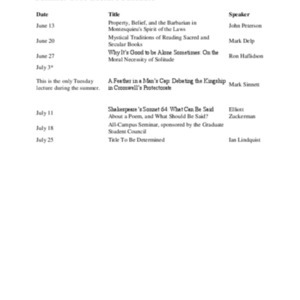 Audio recording of the convocation for the Graduate Institute given by Emily Langston for the Summer 2018 semester in Annapolis, MD. 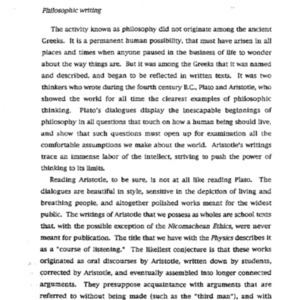 Introduction by Panayiotis Kanelos. 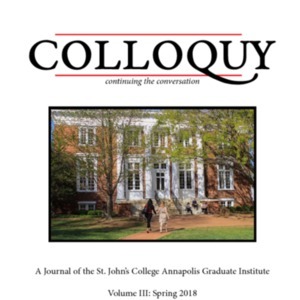 Volume III of the Colloquy, published in Spring 2018. 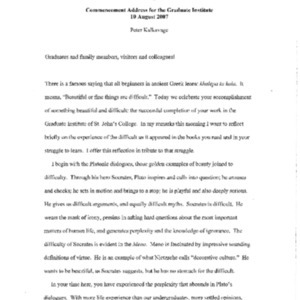 Typescript of the commencement address for the Graduate Institute given by Peter Kalkavage on August 10, 2007 in Annapolis, MD. 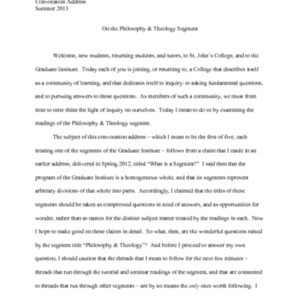 Entitled "On the difficult". 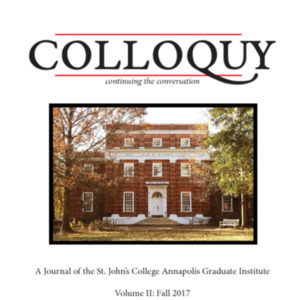 Volume II of the Colloquy, published in Fall 2017.